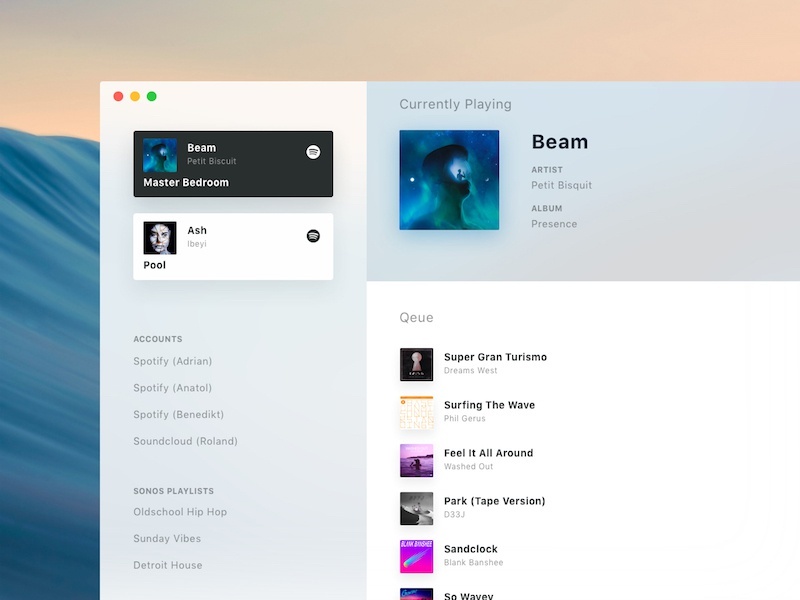 Listening a lot to music by using the Sonos Mac App in our office, I thought of giving it a redesign. Check out our Freaky Friday Playlist to get in the mood. Full pixels attached. Thanks guys.